Over the past 2+ weeks I’ve unpacked a lot of the baggage I picked up along the way in my time at Amazon. It has been an almost physical unwinding of the tension between body and soul that I’d allowed to get wound so tightly that I had little focus on anything beyond survival and lost my life vision and intuition. My guess is that I will continue with this process over the coming weeks and months as I begin a new job and unpack the few remaining bags. The number of times I told the Amazon recruiter I wasn’t interested before I finally agreed to talk to the hiring manager about a Product Management job on the Payments Platform. Two weeks passed until I made a visit for the interview loop. Two really fast days in Seattle. Two days between leaving Seattle (Saturday) and getting the offer (Monday). This is the number of years I spent working as a Product Manager at Amazon. 3 years and 7 days to be precise. The number of business days into the job when I first said the words “I really don’t belong here.” I never changed my mind about belonging but my fear of failure and financial situation pushed me to make it work well beyond day 11. I counted my time and planned my future at Amazon in 6 month intervals. “If I can make it 6 more months….” I don’t know what magic I thought would happen in 6 more months…it rarely (maybe never?) did actually happen. But these 6 month intervals gave me the breathing room to perform and plan. As the owner of “Core Transaction Processing” for 2 of my 3 years at Amazon, I was responsible from a Product perspective for securing, processing, communicating, and storing all the details associated with upwards of a 150 Billion transactions a year. I came to Amazon to prove I could do what I’d been doing for 10 years at a massive scale. Guess what? PROVEN. When you work at Amazon people make the ridiculous assumption that you MUST get huge perks. People say things like “Can you get me a Kindle at a good price?” or “You must get Prime for free right?” The answers are No and No. 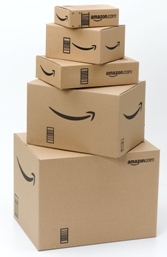 Amazon employees get 10% off their first $1000 spent per year on Amazon.com. That’s right…$100 damn dollars which is not applicable to money spent on Amazon Fresh, Audible, or Zappos. The number of significant projects I worked on while at Amazon. I am proud of these projects, launched, decommissions, etc. They may not have all turned out as I’d hoped, but I can hold my head up with pride for the work I did and the guidance I provided. The day of the month in November of 2014 that I realized I didn’t have another year in me at Amazon. That I was doing myself and the company a disservice by staying. That I didn’t have the heart or ambition to fight and manipulate my way to a promotion. That I wasn’t excited about what the company was doing while surrounded by a ton of brilliant folks that are. That I was dying a little inside each Monday morning as the elevator doors closed to take me to my desk. One phone call from a VP that rekindled my hope in humanity at Amazon. One meeting where I was so insulted, but couldn’t help but laugh, that turned everything around and led to 11 above. One boss who really took the time to try to understand both my motivations and my drivers. He was also the ONE person on my interview loop who saved me from saying no. Grateful for that guy…you know who you are. One…and only one…time I cried in the ladies room and thought I wouldn’t be able to go on. That was somewhere in year 2 and it hadn’t happened before and never happened again. One regret. My one regret is that I didn’t listen to my strong desire to leave at the end of year 1. I will never again fail to acknowledge and give credence to my own voice about something as important as respect, belonging, and value. One private, personal, one-on-one conversation held over and over and over between me and the individuals I grew to respect and like over my 3 years at Amazon. People I now call friends. Each interaction with those folks was one at a time. One soul connecting with another soul. And those one on one conversations are my favorite and most valued part of this experience. One…here’s to the ONE woman…ONE person of color…ONE LGBT individual…who is often the ONLY one in a room full of many many straight, white men. Here’s to you, your courage, your strength, and your dignity. Raise your glass high and count yourself among the warriors. Tomorrow is Day One at a new job with a new company. And that is the one I’ve been needing for quite some time. Thank you Amazon…for the lessons, the friends, and the paycheck. Thank you for teaching me the lessons that I could only learn while working under “the smile” and thank you for making it so very easy to know when to walk away. The blessings, growth, and laughs cannot be quantified…I carry them in my heart. Thank you for this brave post. While cultural fit is subjective, there is something to be said about these thoughts often echoed by those who have left or are still here. When people ask me what working at Amazon is like, I akin it to Hunger Games. We have limited resources to make the magic happen. I do believe in being resourceful but it becomes troublesome when everyone is facing the same lack and no one has anything to give. My dad said it best, “you can’t get blood out of a turnip”! Well somehow I’ve managed to make that happen. I believe the true blessing in disguise is the incredible bonds forged through such chaos and turmoil. In between begging and escalating we come to know good souls and brilliant minds. Happy to connect any time. You can email me at leah@leahfarmer.com and we can plan something. I learn so much from you and admire everything about you. You’re on top of my inspirational badass chics list. Thank you for your openness. Your blogs are a treat to read. You’re truly gifted with communication skills. Love you cuzzie. Excited for you to start your new job!